Rhapsody is the first service in the world which made music streaming possible, an idea which has grown into a very successful industry with some powerful competition like Deezer and Spotify. In 2011 Rhapsody took over Napster, a once notorious „pirate“ tool now turned a completely copyright abiding service. Napster and Rhapsody have a database of over 20 million tracks and through mobile solutions by Pet minuta, their services will become available in 15 countries across the continent. Central Eastern Europe, sadly, did not make it into the mix this time. After that, rather than presenting our company over a video conference, we flew to Seattle for an hour and a half meeting and pitched live. I think this was crucial, because we’ve proved ourselves to be proactive and eager to work on this project. It will be a challenge, as always, to get our ideas through and we will insist on a well designed solutions and high quality. Mobile solutions are especially sensitive when it comes to user experience and if we nail that part, we will succeed. Rhapsody has a very good number of subscribers, good investments and they tend to think long-term, so we are optimistic about our collaboration. 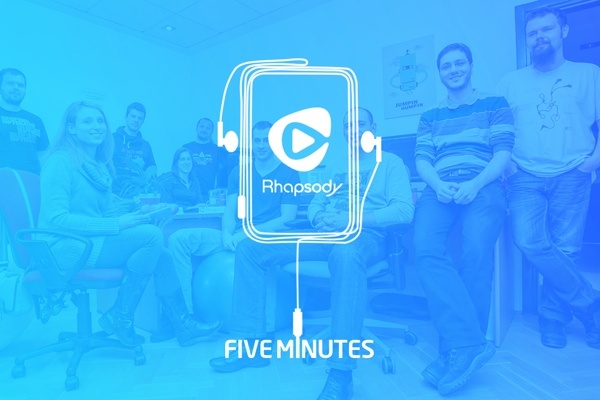 Pet minuta has already collaborated with Rhapsody and 12 of their testers and developers have joined Rhapsody’s ranks in developing Android and iOS apps, including a special version for iPad. Rhapsody’s CTO Brian Ringer said that the company considered Pet minuta a perfect partner for further development of their streaming apps. Marohnić noted that this is one of the biggest deals in a relatively short history of this company. As an advice for other companies, he said that to land a big client, companies have to take on smaller projects and do them right, making sure their customers are satisfied with their work. It is also important to keep composed when a project goes awry. Seeing that Napster will partner up with mobile operators in its European expansion, we are definitely curious about which operator it will be. In the meantime, big congratulations to Pet Minuta on their new project !